Lately I find it very fun to shoot some films with old and not automatic film cameras. I find it a joy to use those metallic old age cameras, and the look of the developed photographs is something different from the digital cameras too. There is something about the film you use instead of the digital sensor, and I think much of the difference in the outcome is about the optics. They definitely used different glass back then, no L DG or any other marks on the lens, but simple 50mm f/1.4 manual and thats all!!!. Some of the cameras that I own has built in light meters, in my Russian Zenith ET the light meter doesn’t work any more and in my Pentax the light meter works, but only with a battery the is very hard to find in Israel. So I got my self the light meter my father used some 20 years ago, when there where no alternatives or built in light meters. The only thing was that he didn’t really remember how to operate it. After some research here is my “crash manual” on how to use your old light meter. 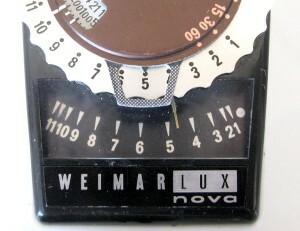 For starters, this is my light meter, an old Weimar Lux nova. 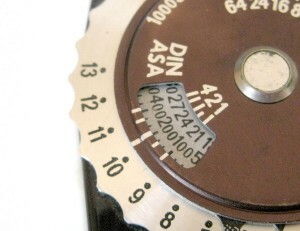 first of all,set your film ISO speed (figure 1).Move the brown circle to match the film speed.In the image it is set to 200ISO or 24DIN (probably the eastern European method). 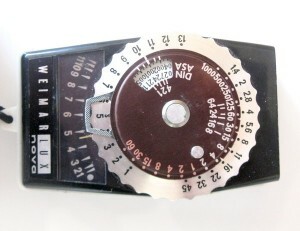 Point the light meter front panel to the direction you want to take the light meter from. 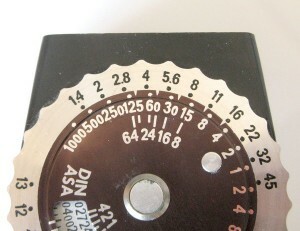 In the bottom of the light meter the is a needle that will move when you direct the meter to different light scenes.The number the needle will point to is the exposure number the meter took.In figure 2 you’ll that the needle is pointing on something between 4-5 (4.6+-). Move the big white circle, so the small arrow in the little gray window will point on the number the needle shows. Now you got the camera settings you need on the top of the light meter. You could choose on of the suggested settings .Figure 3 shows that if you set the camera on aperture f/1.4 then you’ll have to set the shutter speed to 1/500th sec. OK nice to see- new comments are always helpful! See yas. I got same meter with an Exa 1c, I was just wondering how to use it! I’m happy that I helped!!! Enjoy and share this content!!! DIN means “Deutsche Industrienorm” and was used in the GDR (East Germany). And thank you! Thanks for the tip man! THX for useful hint how to use Weimar LUX nova.